Botswana is recognised by Transparency International (2016) as one of the most business friendly countries in Africa. Since independence from Britain in the early 1960’s it has been stable, with democratically elected governments. It has a good human rights record. It is one of the fastest growing economies in the world and has one of the highest incomes per capita in Africa. The economy is dominated by mining, tourism and livestock. It is the largest producer of diamonds by value in the world. Corruption in any form is rare. The infrastructure is good. The Republic of Botswana is a landlocked country located in Southern Africa. It is bordered by South Africa to the south and southeast, Namibia to the west and north and Zimbabwe to the northeast. It has a surface area of approximately 581,730km2. Botswana is predominantly flat dominated by the Kalahari Desert, which covers up to 70% of its land surface. The Okavango Delta, one of the world’s largest inland deltas and a popular tourist attraction, is located in the northwest. Botswana has a population of just over 2 million people and is one of the most sparsely populated nations in the world. Around 10% of the population lives in the capital and largest city, Gaborone. Over the past half-century political stability, good governance and prudent economic and natural resource management have helped to secure robust economic growth, supported by the discovery of diamonds. The economy is dominated by mining, tourism and livestock. Having been one of the poorest countries in Africa, with a GDP per capita of approximately US$70 in the late 1960s, Botswana is now an upper-middle income country and, in 2015, Botswana’s gross domestic product was approximately US$18,825 per capita, one of the highest in Africa. Its relatively high gross national income (by some estimates the fourth-largest in Africa) gives the country a modest standard of living and the highest Human Development Index of continental Sub-Saharan Africa. Despite being landlocked, Botswana has a well-developed infrastructure in comparison to other countries in the region. The country’s road infrastructure remains strong, benefitting from many years of careful planning and investment. There are prospects for expansion of the railway network, particularly as a means to export coal from the Mmamabula coal fields through Namibia to the port of Walvis Bay. The country has a well-developed mobile telecommunications industry with one of the highest penetration levels in Africa. Botswana has 971km of rail lines, 18,482km of roads (23% of which are paved) and 92 airports (12 of which have paved runways). The climate has two distinct seasons: the summer / rain season lasts from November to April with very high temperatures. The winter / dry season lasts from May to late September. The constitution of Botswana is the rule of law which protects the citizens of Botswana and represents their rights. The politics of Botswana take place in a framework of a representative democratic republic, whereby the President of Botswana is both head of state and head of government, and of a multi-party system. Executive power is exercised by the government and legislative power is vested in both the governmentand the Parliament of Botswana. The most recent election, its eleventh, was held in 2014. Since independence from Britain in 1966, the party system has been dominated by the Botswana Democratic Party. The Department of Mines and Ministry of Mineral Resources, Green Technology and Energy Security (MMGE) maintains data regarding mining throughout the country. Debswana, the largest diamond mining company operating in Botswana, is owned as to 50:50 by the government and De Beers. 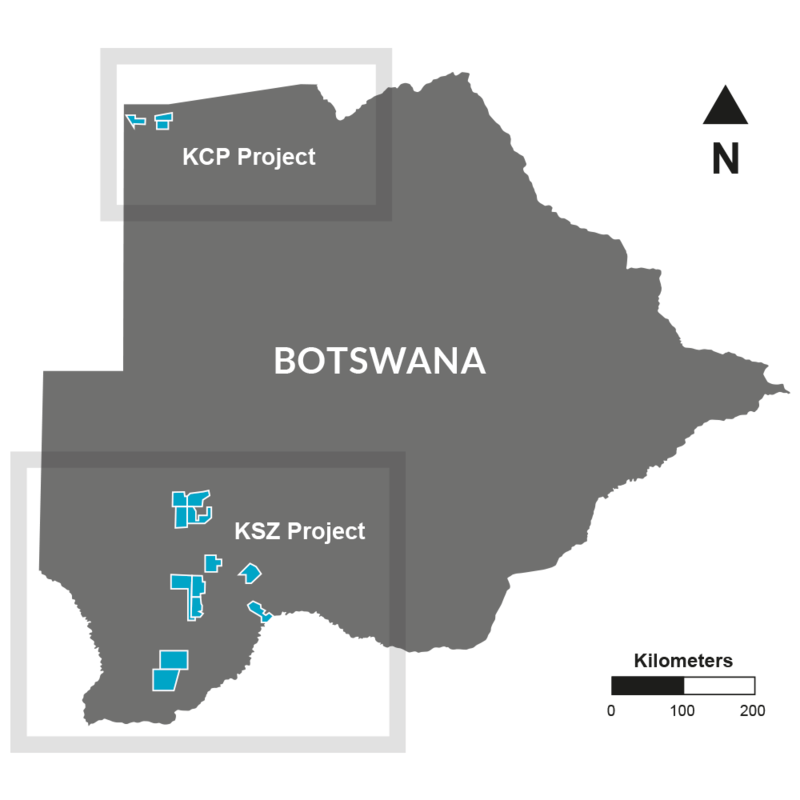 In 2007, significant quantities of uranium were discovered, and several international mining corporations have established regional headquarters in Botswana, and prospected for diamonds, gold, uranium, copper, nickel and coal. 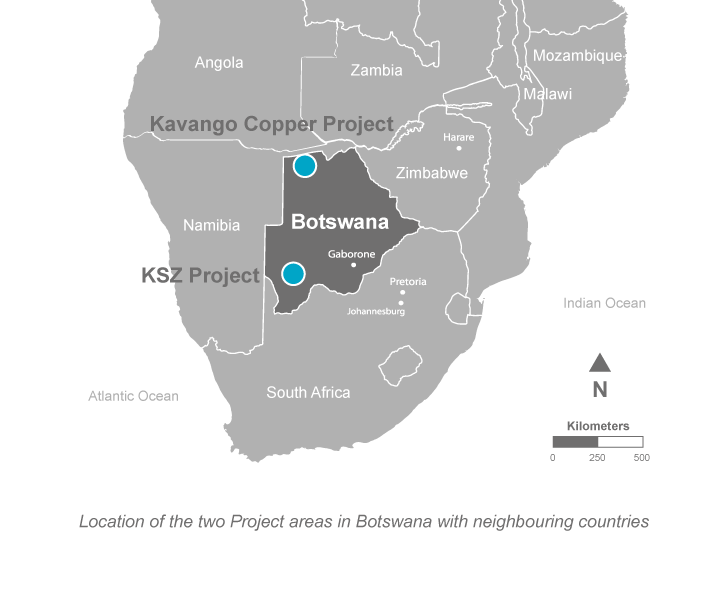 Mining activities have been taking place in Botswana since the nineteenth century with the advent of the gold rush in the northern part of the country. Diamonds have been the leading component of the mineral sector since large-scale diamond production began in the early 1970’s. In 2016, Botswana was the world’s second leading producer of diamonds by value. The country also produces coal, cobalt, copper, gold, nickel, platinumgroup metals (PGMs), salt, sand and gravel, semiprecious gemstones and silver. In the long term, Botswanan GDP from mining is projected to trend around BWP 11,114 million in 2020 (USD1.00/BWP10).